This weekend I visited the Royal Observatory in Greenwich. Surprisingly the sculpture by the end of the line was not there, so I wonder what happened to it. Here's a picture of what it used to be like. Now there's only a line on the ground. I asked four members of the staff but I didn't get a clear answer: The first staff member said it was removed by the artist. The second member of the staff said it was took by a bank because of unknown reasons. Other two staff members said that they had no idea. I've done my research, but I haven't found a satisfactory answer so far. [T]he sculpture was returned to its owner 'News Print International' (sic) after its loan was complete. It went to their print works in Broxbourne, Hertfordshire, although whether it is still there, we do not know. 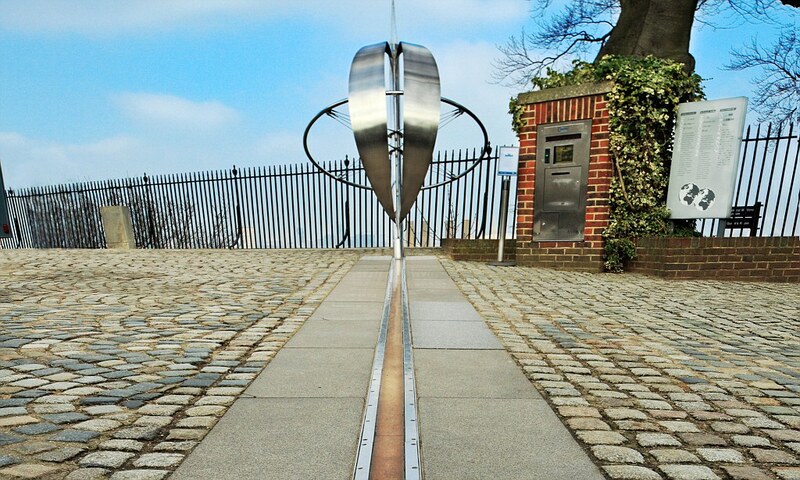 Designed by Christiana Garzia, the piece was installed in 1999, a public sculpture commission sponsored by The Times newspaper and, subsequently, under the care of the Royal Observatory until 2015, when it was removed. Newsprinters Broxbourne is the printer to many of the UK’s newspapers, including The Times. Not the answer you're looking for? Browse other questions tagged uk london sightseeing or ask your own question. What are more authentic places in London, as opposed to the ones overcrowded with tourists? Where in London should you bring a fan of the band Madness?